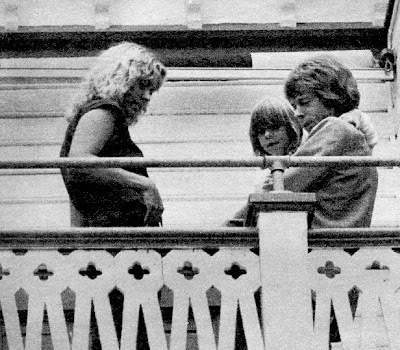 Pre-marriage Benny & Frida (probably) in (late) 1977 and post-divorce Agnetha & Bjorn with their daughter Linda in July 1980 (while filming the video for The Winner Takes It All. Love the photo of Benny and Frida,Also like the this particular hairstyle Frida is sporting,Dont think ive seen this pic before! 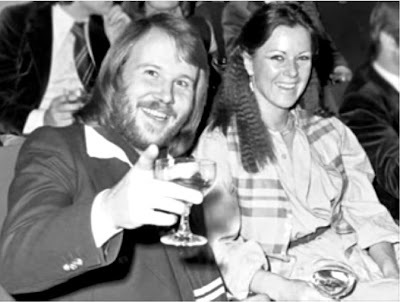 ABBA in 1975:The girls look bored but gorgeous!